New routes will avoid the war-torn area as world powers make their moves. The worst crisis to have broken out between the U.S. and Russia since the Cold War has forced Vietnam's flagship airline to look for alternate routes. 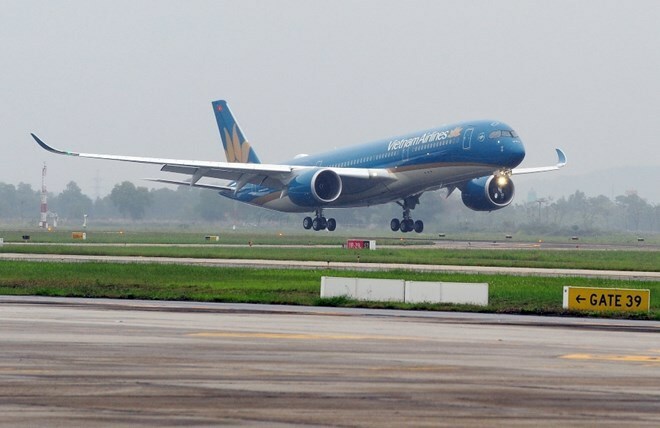 Flights between Vietnam and Europe will be diverted from over the Black Sea due to possible military action in the Middle East, Vietnam Airlines announced on Thursday. Vietnam Airlines currently operates flights over the Black Sea and the Mediterranean Sea, approximately 600-700 kilometers from Syria. New routes will increase flight times by 15 minutes, and double the distance between the war-torn country. The European Aviation Safety Agency on Wednesday issued an alert of potential air and missile strikes into Syria in the next 72 hours, but did not name where the attacks would come from. Tensions in the region have been heated for the last two weeks. Last weekend, U.S. President Donald Trump warned that Iran and Russia would have a “big price to pay” for supporting the Syrian regime. Moscow hit back by claiming the west would face “gravest consequences” if they used the alleged chemical attack in Damacus to justify military action. Vietnam Airlines made the same maneuver to bypass the Middle East in 2015 amidst potential conflict in Iraq, and in 2014, the airline diverted its routes to avoid Ukraine after the crash of Malaysia Airlines’ MH17.